Clip featuring a modular synthesizer jam with Sequencomat V3 – an 8 track 16 step MIDI sequencer in Max/MSP, with a touch control surface for the Jazzmutant Lemur. Sequencomat is based on the idea of traditional hardware step sequencers, but with an touchscreen control surface, and below that he tests out Sequencomat v3, running its own clock and sequencing a Nord Modular G1 on the first 4 channels and the G2 on the 4 following. Continuing from yesterday here we have yet another teaser from Propellerhead on their upcoming release of version 5 of Reason and updated Record. Getting a vocal performance right means so much more than hitting the right notes at the right time. Sometimes you get that almost perfect performance with perfect feel and presence, but the singer might have missed a few notes. That’s when Neptune can save the day. Neptune is an advanced pitch adjuster, audio transposer and voice synth for Record 1.5. As a pitch adjuster, Neptune will fine tune the pitch of an audio track to help getting your vocal performances just right. Neptune will fix the flat notes with an unbelievable audio quality . You can select a root key and a scale that you want to correction to use, or create a scale that fits your song. And, yes. By cranking the pitch adjustment settings to the max, you can get that effect sound too. Neptune is also a natural sounding audio transposer. This is a great help if you ever needed to change the key of a song that’s already been recorded. There’s a healthy number of electro artists on Spotify including one of our favorite electro act The Blotnik Brothers, but no presence of Skweee what so ever AFAIK. Therefore we’ll share these cool Skweee mixes for your bleeping pleasure! March 31, 2010 · Posted in Electronic Music · Comments Off on Contemporary synthpop? Do you agree with DevotionRecords? Korg has announced the microSTATION, described as a Micro Synthesizer with Sequencer. Designed to satisfy the beginning musician or the accomplished keyboardist, the microSTATION offers portability, the sound of Korg’s EDS-i synth engine, effects, plus new and easy-to-use sequencing tools. Audition riffs make finding just the right sound a breeze. Lightweight, compact, and equipped with 61 mini-keys, the microSTATION travels easily and fits into any home, stage, or studio workspace. EDS-i (Enhanced Definition Synthesis-integrated) sound engine delivers high-quality sound in the tradition of KORG’s flagship synthesizers. Enjoy 480 ready-to-use sounds – including keyboard sounds, synth sounds, drums, leads, basses, etc. 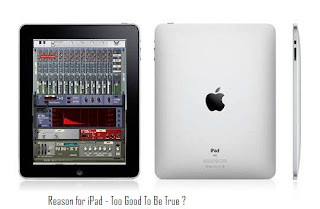 Tweak, edit, create and save up to 512 sound Programs. 256 dynamic Combinations place different sounds on different areas of the keyboard, or layer multiple sounds together for exciting performances – right out of the box. Find the right sound fast with eight quickly accessible categories; hundreds of Audition Riffs allow you to preview each sound. A full General MIDI level 2 compatible soundset allows commercial and pre-made MIDI files to be played perfectly and instantly. Designed for comfort and accuracy, the 61-key Natural Touch Mini Keyboard is highly expressive and supports serious playing. Whether performing or composing, the on-board sequencer can be anything from an extra set of hands or a powerful drum machine up to a full-blown MIDI production suite. Loop Recording, Grid Sequencing, Dual Arpeggiators, Template songs, and Auto Song Setup features make it easy for anyone to achieve professional results. SD/SDHC card slot for convenient storage or your custom sounds and songs. USB Type-B connector offers a direct MIDI connection to your computer. Includes both stand-alone and plug-in microSTATION software for detailed sound editing on your computer; plug-in software is VST, AU, and RTAS compatible. At a size and price usually reserved for performance synthesizers, the compact and portable microSTATION none the less features a 61-key Natural Touch mini keyboard, numerous effects, dual arpeggiators, and a 16-track sequencer to transform musical ideas into polished productions – wherever you are. New sequencer features such as Loop Recording and visual Grid Sequencing have been added to benefit the first-time user and to jump-start any type of music production. With so much power, the microSTATION is an ideal first keyboard, plus a welcome addition to any studio or keyboard rig. The microSTATION features Korg’s new EDS-i (Enhanced Definition Synthesis – integrated) premium sound engine, derived from the EDS system found on KORG’s M3 XPanded and M50 professional synthesizers. OSCILLATORS: The oscillator section provides access to 49 MB* of high-quality PCM sources (sampled at 48 kHz) delivering a rich variety or sounds. FILTERS: Indispensable to sound creation is the filter section, offering two high-quality filters for each oscillator. The four filter types – low-pass, high-pass, band-pass, and band-reject – can be freely combined. MODULATION: Expansive modulation is also vital. The microSTATION inherits the EG (Envelope Generator), LFO, key tracking generator, AMS (Alternate Modulation System), and AMS mixer from the EDS sound engine, allowing full-fledged synthesis possibilities. EFFECTS: The effect section adds the final touch to the sound, allowing you to use up to five Insert effects, two Master effects, and one Total effect. In addition to delay and reverb, you can choose from modulation effects such as chorus, phaser, and flanger; dynamics effects such as compressor and limiter; and amp modeling powered by KORG’s proprietary “REMS” technology. The Effect Dynamic Modulation function (Dmod) lets you control effects in a wide variety of ways during performance. From the moment you turn it on; the microSTATION is ready to deliver hundreds of ready-to-play sounds. In addition to the 480 Programs and 25 Drum kits, the microSTATION provides 256 Combinations, each of which combines up to sixteen programs as layers, splits, or velocity switched elements. Finding the right sound is easy. The Programs and Combinations are organized into eight sound categories. The audition switch plays a repeating riff (phrase) appropriate for the currently selected sound, letting you hear how the sound will be played in context. Every sound can be edited, tweaked, and re-written, and the microSTATION also has plenty of room for you to save your own Programs, Combinations, and Drum kits. 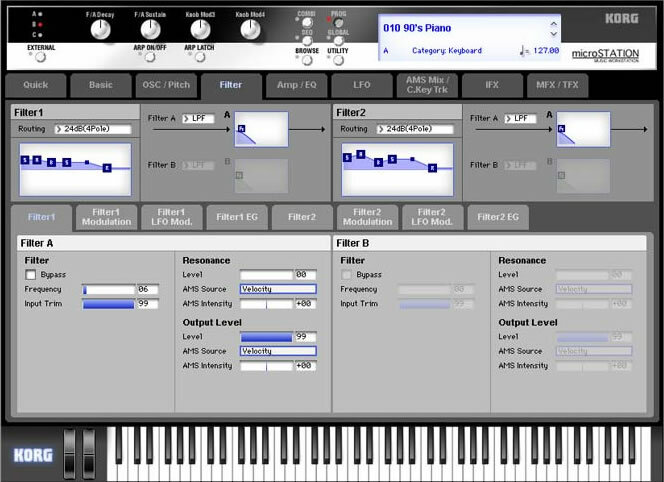 For playing Standard MIDI files, there is also a full General MIDI level 2 compatible sound set. The microSTATION’s Natural Touch Mini-Keyboard has been acclaimed for its ease of playing. The proportion of the black keys and white keys has been adjusted so that chords are comfortable to play, and the feel is designed to allow rapid phrases to be performed with ease. The waterfall-style keys make glissandos easy to play, and also impart a sense of quality. The use of a mini-keyboard complete with 61 keys allows serious performance of piano and other styles that require – or benefit – from two-handed playing. The built-in, high-performance 16-track MIDI sequencer provides a versatile array of capabilities such as template songs, loop recording, a grid sequence function, arpeggiator, and auto song setup to provide a powerful boost to your music productions. 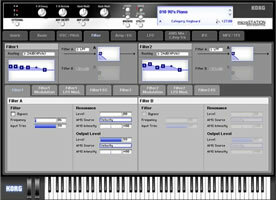 Many of these newly added features are designed to assist novice sequencer users to complete their musical ideas. Template songs: Template songs are a great way to begin. Each template song loads up the appropriate instruments and pre-routed effects to match a specific musical style. The arpeggiator settings deliver ready-to-use bass and drum tracks. Of course, any track can be changed, edited or rewritten. Loop recording: This function repeatedly records a specified range of measures. For example, you can loop a four-measure section and create a drum pattern by recording each of the drums and bass notes individually. Basic editing functions such as copying, erasing, and deleting measures are also provided. This method is similar to recording on a multi-track recorder. Visual Grid Sequencing: This is a unique method of entering notes in which the front panel function buttons and corresponding LEDs (01 – 16) to create rhythm patterns as on drum box or step sequencer. Rhythm instruments such as the bass drum, snare, hi-hat, and bass will sound at the timings indicated by the illuminated LEDs. Dual polyphonic arpeggiators: The arpeggiators provide five preset patterns and 640 user patterns, of which 512 are preloaded. In addition to standard arpeggiator patterns, Korg’s polyphonic arpeggiators can produce a variety of chord progressions or phrases based on the notes being played on the keyboard. This advanced arpeggiation system can be used to create drum patterns, bass phrases, guitar riffs and keyboard backing runs. In Combination or Sequencer modes, the microSTATION lets two arpeggio patterns run simultaneously. You can apply separate arpeggio patterns to a different programs, or use split or velocity to switch between arpeggio patterns, providing powerful performance possibilities. Auto song setup: Using this convenient function, a Program or Combination (with its arpeggiator settings) can easily be recorded to multiple tracks, creating the basic tracks of your song. The microSTATION’s knobs and controllers are located for easy use. Frequently used parameters can be assigned to the four realtime control knobs for convenient sound editing or for performing with the arpeggiator. With the External switch on, these four knobs can be used to control an external MIDI device. A joystick is provided for even more expressive potential. The microSTATION provides an SD card slot, allowing you to save your Programs, Combinations, and song data directly onto an SD/SDHC card. The bundled “microSTATION Editor” and “microSTATION Plug-In Editor” software lets you use your computer to edit the microSTATION’s Programs, Combinations, Drum kits, and Arpeggio patterns. The “microSTATION Editor” is a stand-alone program, while the “microSTATION Plug-In Editor” allows the microSTATION to be used as a VST, AU or RTAS plug-in instrument inside a DAW or other host application on your computer. These editors allow more detailed sound editing than is possible from the microSTATION itself. You can also save sounds that you’ve created on the microSTATION. Vince Clarke is a man synonymous with synth pop and a legend in the history of electronic music. He’s famous for founding three of the most popular and lasting musical acts in history: Depeche Mode, Yazoo and Erasure. 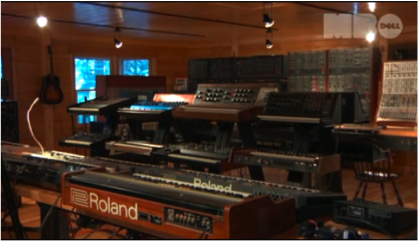 But his distinct sonic output depends upon another feat: he has spent the last 30 years amassing one of the world’s most impressive collections of rare, ‘holy grail’ analogue synthesizers. In 2004, Clarke left England for the unsynthesized woods of Maine, where he constructed a temple for these monolithic machines he calls ‘The Cabin,”. and began branching out into (gasp!) software synths too. Recently Motherboard made a pilgrimage to Clarke’s purpose-built digital/analogue studio to meet the musical titan, hear the story of his musical journey, learn how to make the perfect pop song, and get a little demonstration of one of his signature moves: building a drum pattern from a wall of modular synths. To Clarke, music is still magic even now, an alchemy in which he gets to make “something from nothing. CM also spoke to some iPhone/iPod music app developers and in the nearest future we should expect not only iPad version of bleep!Box but also technoBox ( they have already a prototype ) and iSyn !